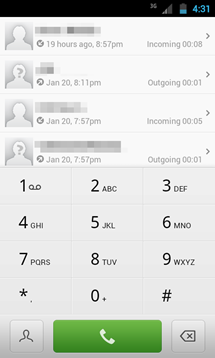 Modoohut's exDialer application, an extremely light-weight, easy-to-use, theme-able dialer app, brings a lot to the table as yet another alternative to Android's stock dialer, especially considering that it is totally free. Though exDialer's theming options are impressive, the default theme itself (inspired by the famous MiUI ROM) is gorgeous, and I haven't exchanged it for another skin since first downloading the app weeks ago. The app itself is exceedingly easy to use, and has a footprint of a mere 1.35MB, making it lightweight. 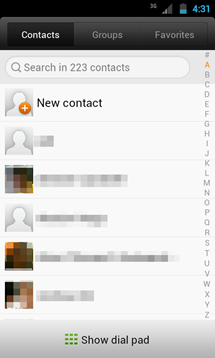 The only drawback in this respect is that exDialer automatically installs exContacts, an app that basically serves as a shortcut to exDialer's built in contacts system. I find this a bit redundant, as users can simply click a button in the main app to access the exact same screen, but I suppose it may be a convenient addition for some. ExDialer, besides functioning smoothly, includes a few extra design touches and animations that make the dialer feel that much more solid. 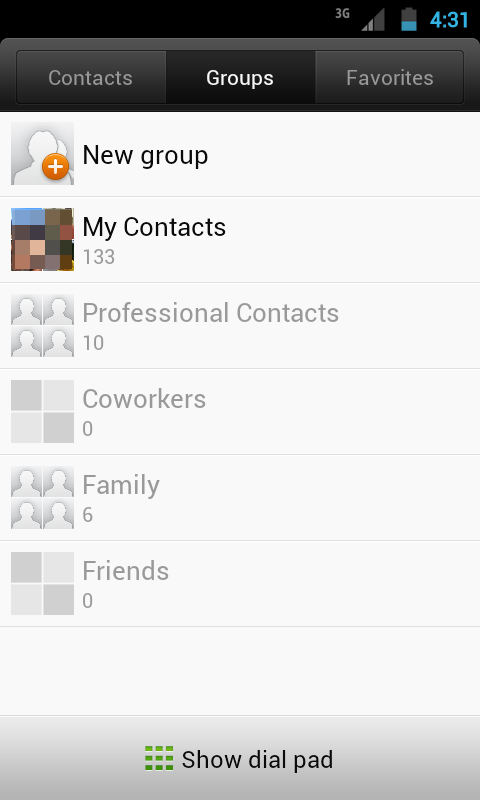 The app's features may not be numerous, but they work well, and have a lot of convenient functionality. When a user boots up exDialer for the first time, they'll be greeted by a familiar screen – exDialer employs the common dial pad-with-contact underlay home screen we've all seen before. 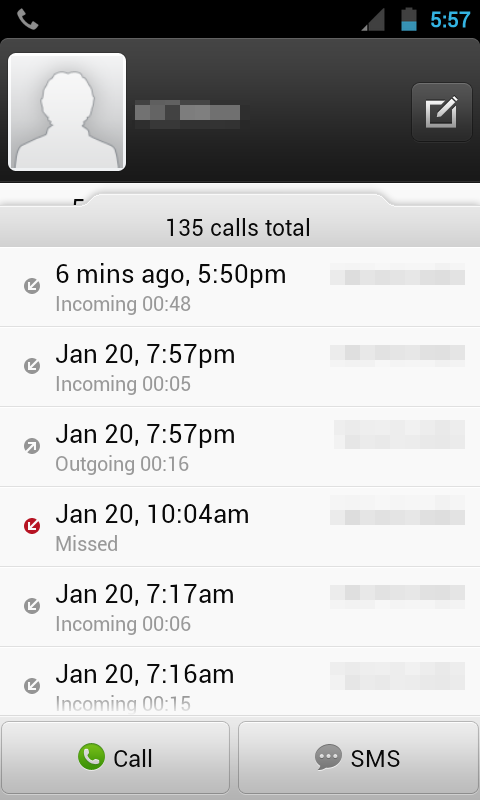 Upon swiping, users can have a look at a simple call log, which highlights missed calls (for those among us who are less than attentive to our call logs). If the user clicks an entry in the call log, they are instantly transported to a contact-specific log page, which keeps a record of the number of calls made, contact info, and the option to message or call the contact. 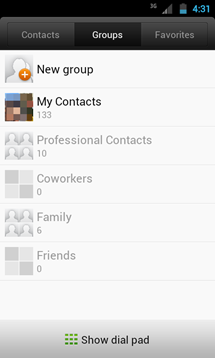 ExDialer's contacts navigation system, like the dialer and call log, is intuitive and void of any clutter, providing simple options for groups, favorites, and individual contacts, while keeping a handy "Show dial pad" button at the bottom of each screen. Another nice touch is the row of letters at the screen's right-hand side, allowing for super snappy navigation when you're in a hurry. 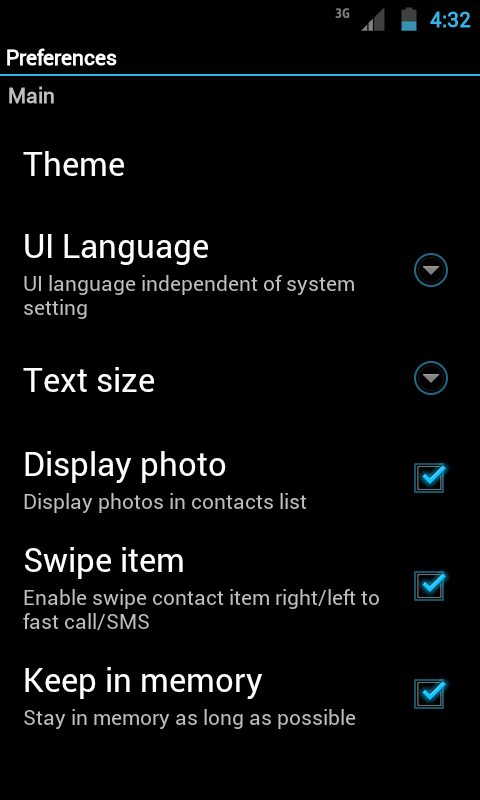 Besides basic dialer functionality, exDialer offers a fair number of customization options. 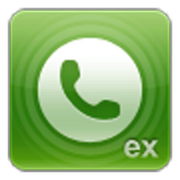 To begin with, exDialer makes theming incredibly easy, offering a theme selection page with a button to "get more themes," which will take the user to an Android Market search for exDialer themes. 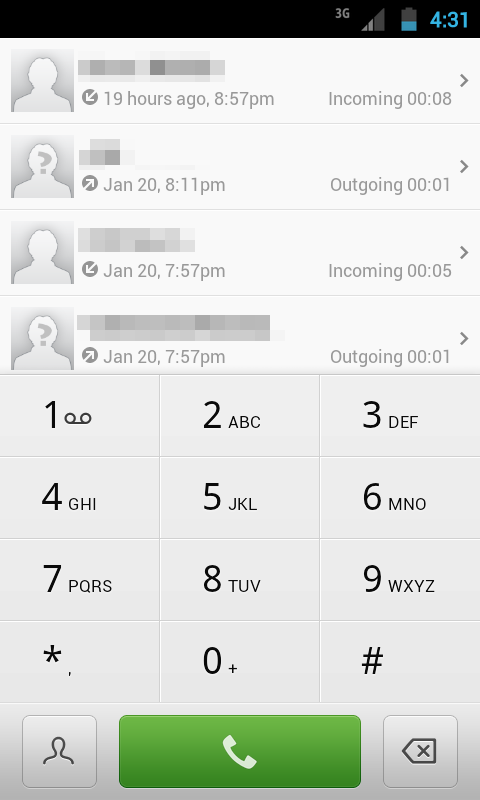 While theming isn't exactly the same as the extreme customization we've seen with other dialers (color selection for individual elements, etc), I find that premade themes are preferable – they keep customization from getting too messy, and lend themselves to easy theming interfaces such as the one employed by exDialer. 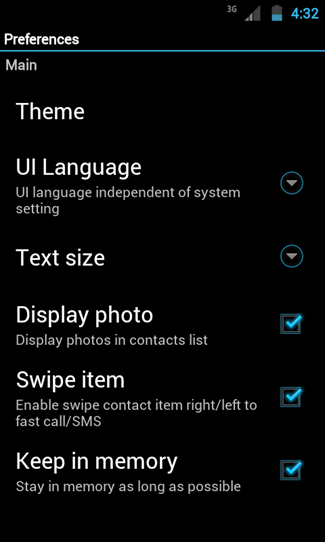 The dialer also allows for a number of additional tweaks, including UI language, text size, the option to display contacts' photos, and an interesting feature labeled "Swipe item," which allows for a surprising, yet convenient functionality which allows users to quickly call or message a contact based on which direction the contact's listing is swiped. This makes hurried dialing even faster, and certainly adds an extra something to the app overall. 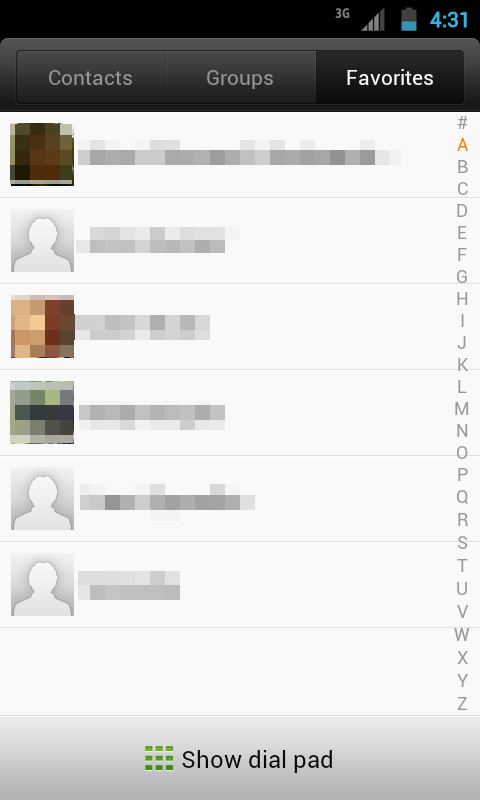 The only issue I have with this feature is that swiping from the contact's photo (as is my natural inclination) does not work – the user must swipe over the contact's name in order to call or send an SMS message. 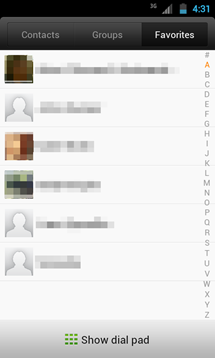 Overall, I have no major complaints with exDialer. It is well-designed (with plenty of theme options), polished, and simply works well. It has a handful of refreshing and convenient features, and the UI is beautiful and easy to grasp. That being said, it doesn't blow me out of the water. 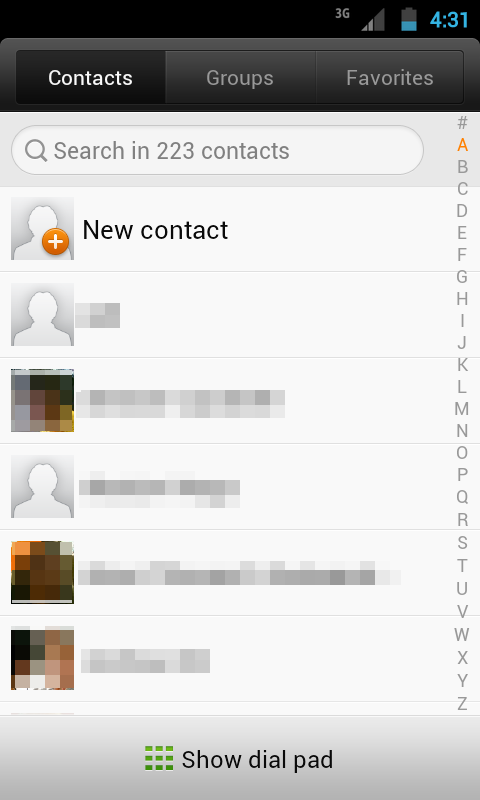 With an app as well-done as exDialer, the only complaint I could possibly think of is that there isn't more. Then again, a lack of clutter is always preferable to an overabundance of unnecessary or redundant features. 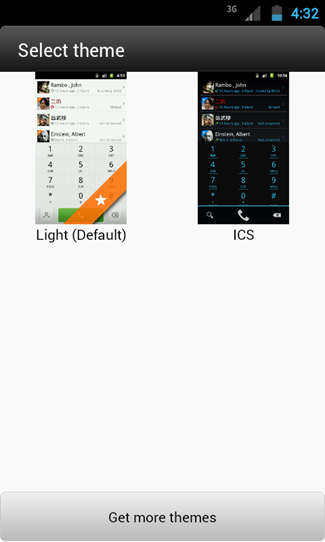 ExDialer's lightweight frame may be a plus to many. 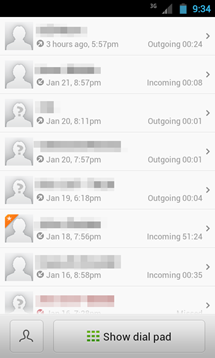 At any rate, exDialer makes an extremely capable replacement to Android's stock dialer, and is definitely worth checking out.